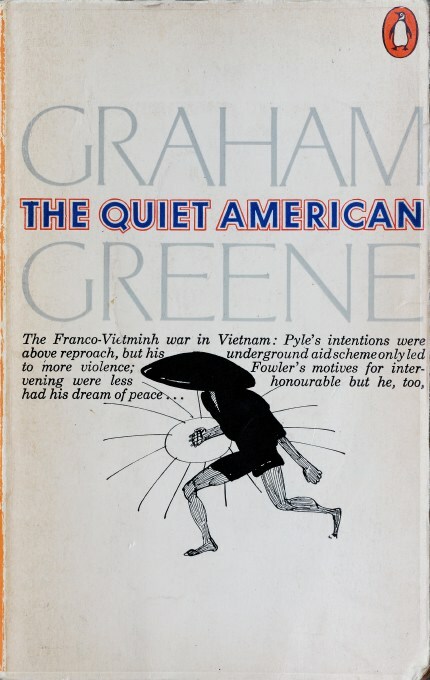 finally got round to reading graham greene's 'the quiet american' earlier this year (yeah i know, another that slipped under the radar). i picked up this weathered 1972 edition in a used bookshop in saigon (really). the striking cover illustration by paul hogarth sucked me into snatching it up even before realising what the title was. UPDATE: found a treasury of hogarth penguin covers on flickr. who would have known?